Canadian teenager Felix Auger-Aliassime advanced to the fourth round of the Miami Open on Sunday, downing Poland's Hubert Hurkacz 7-6 (5), 6-4, while Milos Raonic dropped a 6-4, 6-4 decision to Britain's Kyle Edmund. 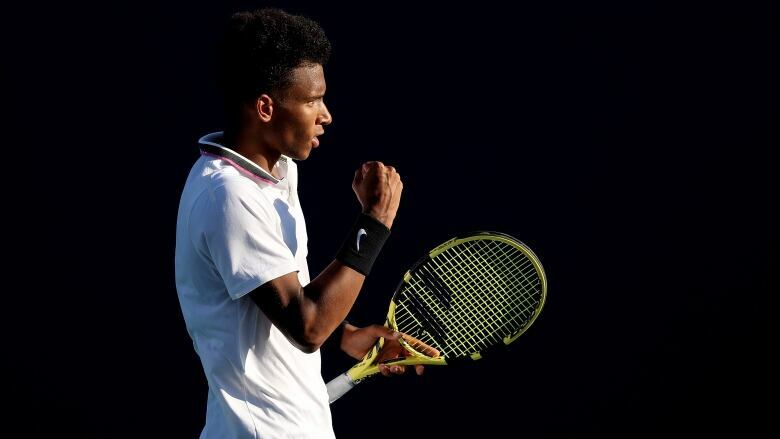 Canadian teenager Felix Auger-Aliassime advanced to the fourth round of the Miami Open on Sunday, downing Poland's Hubert Hurkacz 7-6 (5), 6-4. In second-round women's doubles play, fifth-seeded Gabriela Dabrowski of Ottawa and China's Yifan Xu were to play Poland's Alicja Rosolska and China's Zhaoxuan Yang.